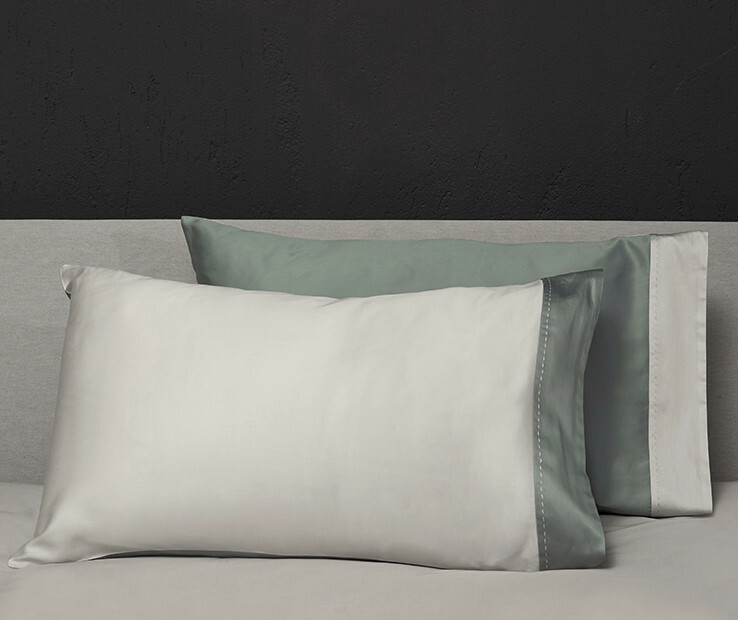 The Double pillowcases have a luxurious but youthful look thanks to the high quality fabric and the modern design. They are characterized by an applied border in matching color and by a special coordinated stitch in the same color as the background. 100% reversible with the two sides in different colors. 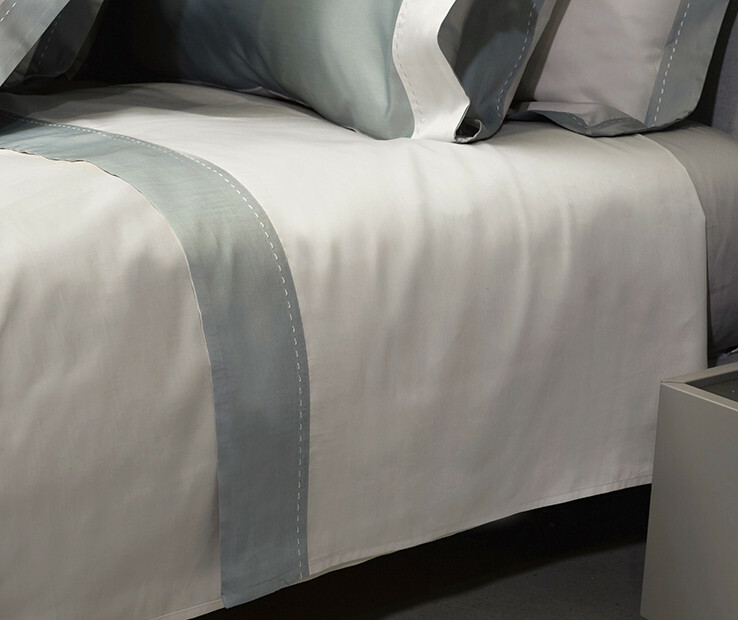 Made of soft and resistant Egyptian cotton sateen 300 t.c. dyed with the renown Italian techniques that grant an exceptional durability. It is available in Standard and King sizes and in a variety of color combinations. The set includes two pillowcases. Made in Italy. The Double sham has a luxurious but youthful look thanks to the high quality fabric and the modern design. It is characterized by an applied border on the flanges in matching color and by a special coordinated stitch in the same color as the background. 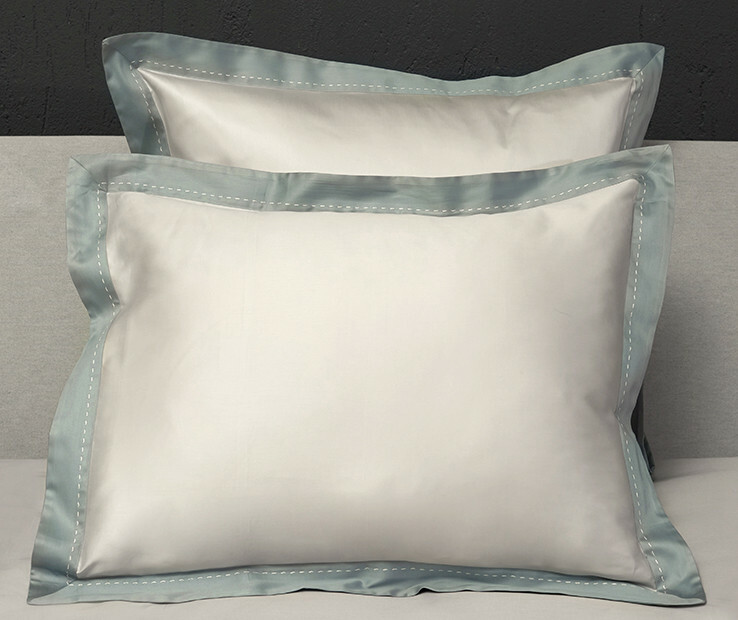 Made of soft and resistant Egyptian cotton sateen 300 t.c. dyed with the renown Italian techniques that grant an exceptional durability. It is available in Standard, Euro and King sizes and in a variety of color combinations. Made in Italy. 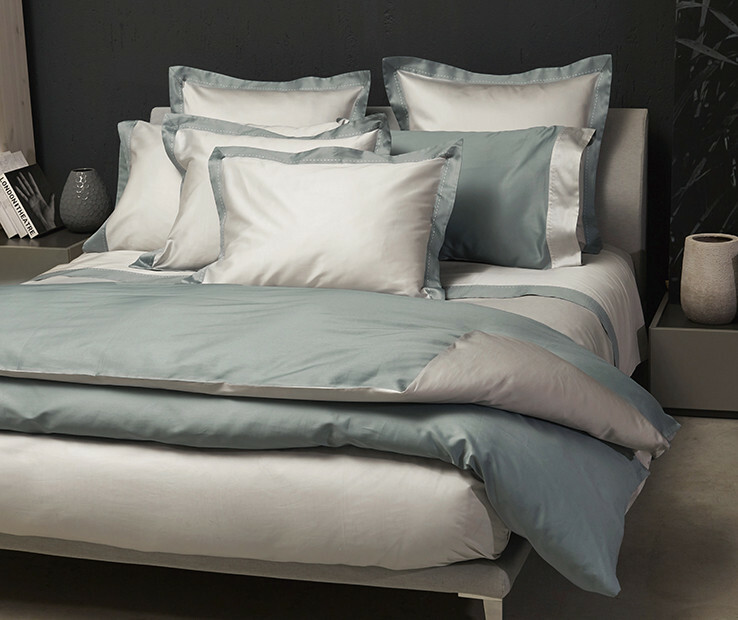 The Double duvet cover has a luxurious but youthful look thanks to the high quality fabric and the modern design. 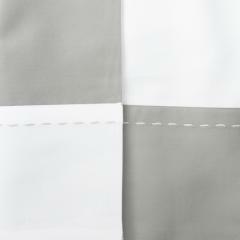 The duvet cover consists of two different coordinating colors, one color on the top and another color on the reverse side making it 100% reversible. 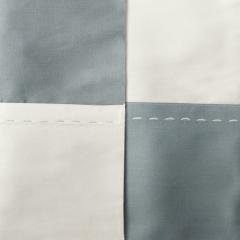 It is made of soft and resistant Egyptian cotton sateen 300 t.c. dyed with the renown Italian techniques that grant an exceptional durability. It is available in Twin, Queen and King sizes and in a variety of color combinations. Made in Italy. 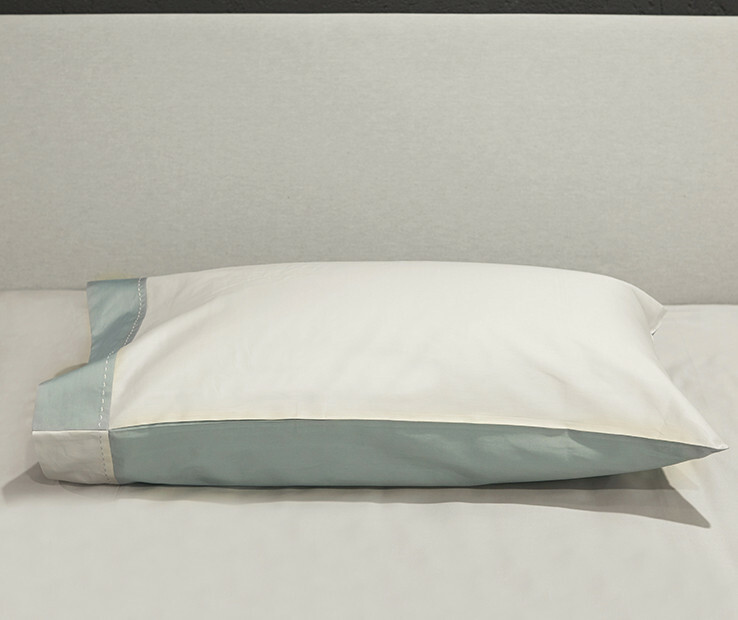 The Double flat sheet has a luxurious but youthful look thanks to the high quality fabric and modern design. It is characterized by an applied border in matching color and by a special coordinated stitch in the same color as the background. 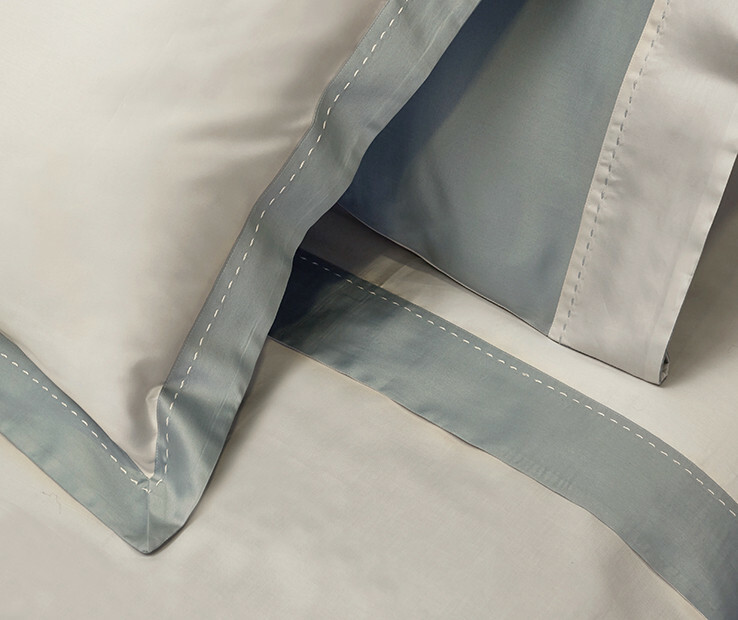 Made of soft and resistant Egyptian cotton sateen 300 t.c. dyed with the renown Italian techniques that grant an exceptional durability.